Constance Lombardo has been drawing and studying art since she was a kid. She worked with a muralist in San Francisco, where she got to paint on walls. As a painter, she loves to use dots along with drips and globs. 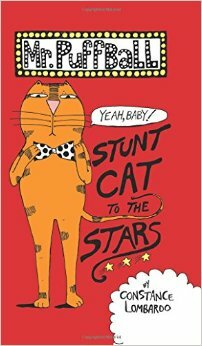 She is the author/illustrator of Mr. Puffball: Stunt Cat to the Stars (Katherine Tegen Books/HarperCollins) and Mr. Puffball: Stunt Cat Across America. She hopes kids like cats as much as she does. But most of all, she hopes kids keep making art because it’s so fun! Learn more about Constance on her website.